PATNA: With preparation of “Khichadi” (adjustment of all allies in the NDA) looking a distant dream, Rashtriya Lok Samata Party (RLSP) president Upendra Kushwaha appears headed for cooking “Kheer” (a sweet dish) from with the milk of Lalu Prasad’s fellow Yadav caste men. 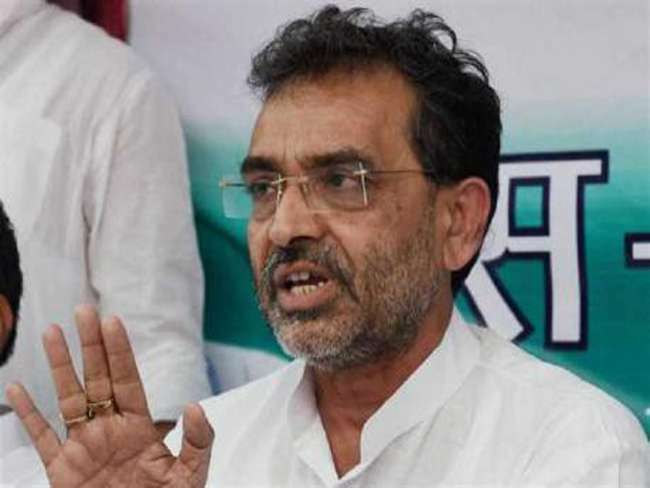 Kushwaha amply displayed his rebellion on Monday when he publicly rejected the “20-20 formula” of BJP chief Amit Shah. “I have never played 20-20 cricket in my life and am neither interested to play it now. Instead, I would love to play ‘gilli danda’,” Union minister Kushwaha told the media on Monday. This is the second time in a week that the RLSP has expressed its annoyance with the BJP’s style of dealing with its alies. Last week, party’s acting national president Nagmani had alleged the RLSP was being forced to quit the NDA. “We are wondering how a party (JD-U) with a social support base of just 1.5 percent was being given more seats where the RLSP with 10 percent social base is being offered just a few,” was how Nagmani had told the media. He added the NDA was bound to face the poll disaster if the RLSP dumps the NDA for the Mahagathbandhan (Grand Alliance). “Yadivanshion ka dudh aur Kushvansion ka chawal mil jaye to uttam kheer ban sakti hai lekin yah tab tak swadist nahin hogi jab tak isme chhoti jati aaur dabe-kuchale samaj ka panchmeva nahin padega (Milk from Yadavs and rice from Kushwahas can make a good sweet dish but it won’t be tasty until the dry fruits of small and downtrodden communities are mixed),” was how Kushwaha had said addressing a function in Patna.